There’s always a reason for clogs and blocked drains. It’s usually the gradual accumulation of grease, grime, and another build up causing slower draining. That, by the way, makes buildup grow even faster. 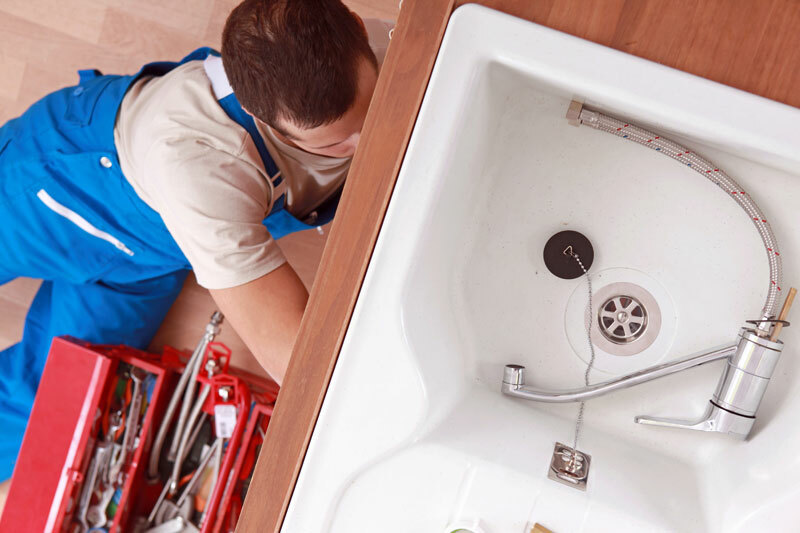 When most of the pipe is blocked it only takes a small piece of food or other debris to block the remaining opening — you now have a backed up sink, shower, or bathtub. That’s frustrating and disrupts your daily routine. And it and seems to always happen at the worst time. 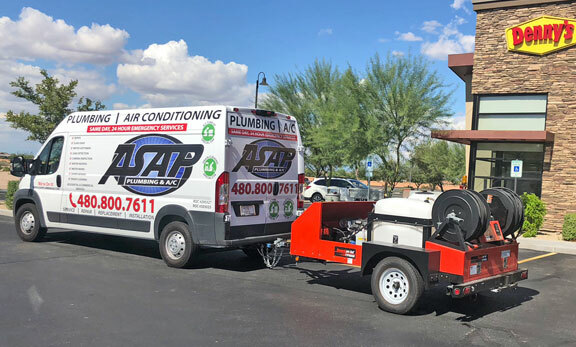 ASAP Plumbing provides affordable drain and sewer cleaning services to all Phoenix, Chandler, Gilbert Arizona and surrounding areas. If a few minutes with a plunger or a single try with liquid drain cleaner doesn’t do the job, don’t waste any more time — call a professional. Especially if you’ve you’ve had recurring drain problems. TIP: Enzyme-based products break down grease and are often effective for drains and sewer lines. But they need overnight (with no water use) to work, and it may take several tries. Frequent clogs are not normal. They mean that too much grease or foreign materials are going down the drain, the insides of your drain pipes or sewer line are rough with scale or corrosion, or the last drain cleaning wasn’t thorough. Clogged drains are perhaps most common in the kitchen. Typically kitchen sinks become clogged when liquefied fats or grease cools and solidifies, coating the inside of the drain pipes. That grease tends to trap food debris, and that in turn traps more grease. The process can escalate pretty rapidly when you’re doing a lot of cooking and not keeping grease out of the sink. Liquid drain cleaners based on sodium hypochlorite (bleach) aren’t particularly effective on grease, and other types based on acid or lye (lye is sodium or potassium hydroxide) can indeed harm pipes. Even plastic pipes. TIP: Keep a jar near the sink to hold cooking fats and grease until garbage day. Next come showers, tubs, and bathroom sinks. Here hair and soap scum are the most common culprits. You can often clear the clog in a bathroom sink by removing the “J” or “U” shaped trap under the sink. Just be sure you’re ready to catch all the water. Unfortunately, there’s no access for tubs and showers. But you can clear hair trapped right at the drain simply by pulling it out. And liquid drain cleaners often work fairly well. TIP: Be sure you have drain screens on all your bathroom fixtures. Here problems come from a combination of lint and fabric softener. But they’re treated pretty much the same as hair clogs. And like kitchen sinks and bathroom clogs, a plunger frequently does the job by dislodging the blockage even if it’s a little way down the pipe. But overflow outlets and vents my keep you from creating the pressure necessary. We’re experts at economical yet thorough sewer and drain cleaning, with all the right equipment. Whether residential or commercial our equipment inventory includes the right size power cable (drain snake) — not too big for a home fixture, not too small for a sewer line, and up to 100 feet long. For tough problems, we have the latest in-pipe video inspection cameras as well as powerful hydro-jetting equipment that removes every last bit of grease, grime, and scale. And we’re ready for prompt arrival 24 hours a day, every day of the week to meet your emergency needs. After we’ve had a look you’ll get upfront pricing before work begins. And our workmanship and your satisfaction are guaranteed.